Swedish firm Play’n Go are one of the most well known online slot game providers . On this page we’re going to reveal the return to player percentages (RTP) of their games to show you which machines have the highest and lowest payouts. ‘Play’n GO games deliver original, fun experiences across any channel, and are based on unique inspirations and creativity’. Play’n Go’s video slots, meanwhile, all use HTML5 as a matter of course and as such are compatible with all channels, from desktop to mobile devices. What’s more, they are all also marked out by impressive full HD graphics, unique features and seamless mechanics. 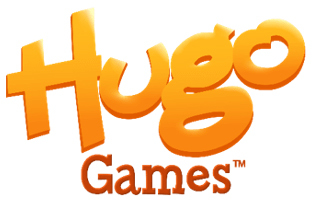 The company do not produce any licensed, branded slot titles based on films and TV shows (unlike many of their competitors) but do have their two popular Hugo games. Hugo was a Danish animated video game troll from the 1990s who has come to star in Play’n GO slots thanks to the company’s deal with Copenhagen based firm Hugo A/S (who owned the intellectual rights to the character). Since Play’n GO first released their Hugo slot in 2016 it has become one of the company’s most popular titles and a sequel game has already been created. A final important point to note when it comes to the games offered by Play’n GO is that the company also make widget games of their titles available. These are miniature editions of the games which can be embedded on online casino homepages, marketing emails or banner ads, and are really popular with gaming providers and players alike. The 94-97.66% return to player percentage range offered by Play’n Go is pretty standard when compared to other online video slot providers. Their average payout percentage, 95.99%, is the second highest of all providers and second only to NetEnt. Whilst this obviously puts them at the head of the market in terms of the highest paying slot machines (on average) there’s still a wide range between the top and the bottom of the spectrum. They do have less titles at the absolute top of their range when compared to NetEnt as well which highlights the importance of players sticking to their most generous games and perhaps skipping those outside the top 5-10. Originally from Sweden, Play’n GO is a gaming software development company which now has registered offices in Malta, the UK, Hungary and the Philippines, alongside their headquarters in the town of Vaxjo in their homeland. ‘the best slots, platforms and back office tools for gaming everywhere’. The company has fairly humble origins, however, with the individuals who came to form Play’n GO in 2004 starting out as sub-contractors within the gaming industry. That meant that they worked for other software and gaming developers to provide both products and consultancy work, and ensured that even in its earliest days Play’n GO could boast decades’ worth of gaming software development experience. It is probably thanks to that experience that Play’n GO managed to quickly gain a foothold in the gaming software industry and in its early years the company succeeded in producing a varied selection of products. Those products, too, were adopted and purchased by some of the biggest names within the online gaming industry, which helped to rapidly enhance Play’n GO’s reputation. After approximately six years in business, Play’n GO made an interesting and ultimately very beneficial move in 2010. 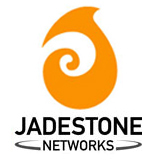 That move was to go into partnership with Jadestone, another gaming software company which was famous for the high quality graphics of their slots games. At the time, the company’s announced that they would ‘join forces in the development and distribution of casino products and offer iGaming operators new ways to attract, convert, monetise and retain their casino players’. The partnership was almost unique within the online gaming industry and is a large part of the reason why all Play’n GO slots now boast full HD graphics. The linkup with Jadestone isn’t the only example of an innovative and forward thinking partnership undertaken by Play’n GO either. In 2016 the company reached an agreement with Hugo Games, a Copenhagen based company, to create slots games featuring Hugo, a hugely popular Danish animated troll character from the 1990s. Two such slots have been produced to date (96.40 & 96.00 payout percentages) and have proved big hits for Play’n GO. Thanks to such innovative business partnerships and the overall quality of Play’n GO’s products, the company have now become a major player in the global gambling industry innovating their flagship ‘OMNY’ software platform.